Green Pre-Strung Consecutively Numbered 2-Part Claim Tags, 4 3/4 x 2 3/8"
Manila Pre-Strung Consecutively Numbered 2-Part Claim Tags, 4 3/4 x 2 3/8"
Pre-strung claim tags make coat and baggage check processes simple. These tags are perforated so they tear off easily, consecutively numbered to make organization a snap, and already strung to make it simple to hook or tie them to a bag, package, or coat. They’re made from heavy stock so they’re durable and strong enough for any application. Claim tags are perfect for any business that needs to check costs or bags. They’re great for events, as well as for bars, clubs, restaurants, and locations such as libraries, museums, art galleries, or large sales where patrons cannot enter carrying bags. At the Packaging Company, our goal is to help businesses succeed by providing the products they need to get work done. We understand that you don’t want to spend significant time and effort searching for items like claim tags and other similar products. While they’re necessary for most businesses, you have other things to do with your time. That’s why we’ve made ourselves a one-stop resource for packaging and organization needs. If you have any questions about our pre-strung claim tags or any of the other products we sell, or if you are looking for a solution and don’t quite know where to turn, give us a call. We pride ourselves on our dedication to customer service and will work with you to help you find the solutions you need. We know that these days companies are making it tougher and tougher to get in touch with them, but we aim to make ourselves accessible to our customers. 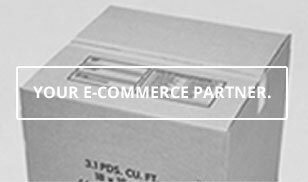 The Packaging Company is your trusted partner that will help your organization continue to succeed. Whether you’re looking for tags, boxes, tape, or any of our other products, we’re here for you. Email or call us today or take a look at our available products below.